What type of documentation is necessary to sue on behalf of a deceased person’s estate? A common question we are asked on the Transvaginal Mesh docket is: How do you bring a claim on behalf of a deceased person’s estate? Before we can properly answer this question, we must first determine if the deceased person (“Decedent”) had a will. If the Decedent had a will, then the will must be probated. Probate is defined as the official proving of a will. In other words, when you probate a will, you are establishing its validity. During the probate process, a will is “proved” in court and ultimately accepted as a valid public document that is the true last testament of the Decedent. Probate laws vary from state to state, so it is important to consult with an attorney who is familiar with the probate laws of the state where the Decedent resided. A person is said to have died “intestate” when that individual has died without having made a will. When one dies without making a will, a court will distribute the Decedent’s property per the laws of the state where Decedent lived. 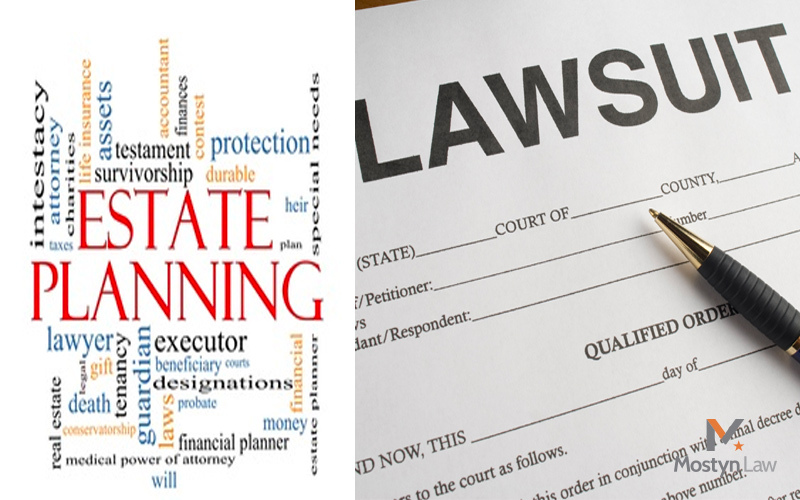 This process is known as “intestate succession” or “intestacy.” Every state has laws that direct what happens to property when someone dies without a valid will and has not made other arrangements as to how property should be left (e.g., living trust). The Texas Probate Code grants an executor or administrator authority to commence suit, thus allowing that individual to step into the shoes of the Decedent and the ability to sue on behalf of the Decedent’s estate. Section 351.054 of the Texas Probate Code provides that an executor or administrator appointed in this state may commence a suit for: (1) recovery of personal property, debts, or damages; or (2) title to or possession of land, any right attached to or arising from that land, or an injury or damage done to that land. A judgment in a suit is conclusive, but may be set aside by any interested person for fraud or collusion on the executor’s or administrator’s part. When a will has been probated, the court grants letters testamentary to the executor or executors appointed by the will if they are willing to accept and qualify according to law. A personal representative shall be deemed to have duly qualified when: that individual has taken the oath, filed the oath, made the required bond, had the same approved by the judge, and filed it with the clerk. In the case of an executor who is not required to make bond, that individual shall be deemed to have duly qualified when he or she has taken and filed his oath required by law. If no executors remain or qualify, an individual who has an interest in the estate may apply. A lawyer must make the application to the court by filing the necessary paperwork and submitting the will and a copy of the death certificate to the court. If a person dies without a will, letters of administration would be issued (to the administrator of the estate) instead of letters testamentary (issued to the executor of the estate). Once letters testamentary or of administration are granted, the court shall make an order to that effect, which shall specify the following: (a) The name of the testator (the person who made a will) or intestate; (b) The name of the person to whom the grant of letters is made (typically referred to in a will as a executor); (c) If bond is required, the amount thereof; (d) If any interested person shall apply to the court for the appointment of an appraiser or appraisers, or if the court deems an appraisal necessary, the name of not less than one nor more than three disinterested persons appointed to appraise the estate and return such appraisement to the court; and (e) That the clerk shall issue letters in accordance with said order when the person to whom said letters are granted shall have qualified according to law. After an executor or administrator has been qualified in the manner required by the Texas Probate Code, the clerk of the court granting the letters testamentary or of administration shall then issue and deliver the letters to such executor or administrator. If there are two or more persons who qualified as executors or administrators, then letters shall be issued to each of them. Letters testamentary or letters of administration are in the form of a certificate of the clerk of the court granting the same, attested by the seal of such court, and stating that the executor or administrator (whichever the case may be) has duly qualified as such as the law requires, the date of such qualification, and the name of the Decedent. Letters testamentary or of administration or a certificate of the clerk of the court which granted the same, under the seal of such court, that said letters have been issued, shall be sufficient evidence of the appointment and qualification of the personal representative of an estate and of the date of qualification. If an executor or administrator obtains such documentation issued by the court, then that individual has the legal capacity to represent the Decedent’s estate in a Transvaginal Mesh suit. Next Post Next Post Is water damage covered in your policy?